Home>Entertainment> Erica Mena Reacts To Ex-Boyfriend Cliff Dixon's Death: "You Didn't Deserve This"
This morning, we sadly reported that Cliff Dixon, Kevin Durant's "adopted brother" and Erica Mena's ex-boyfriend, had passed away after being shot multiple times outside of his birthday party. Dixon was celebrating his 32nd year of life this week when he was struck with bullets in the parking lot of a nightclub. 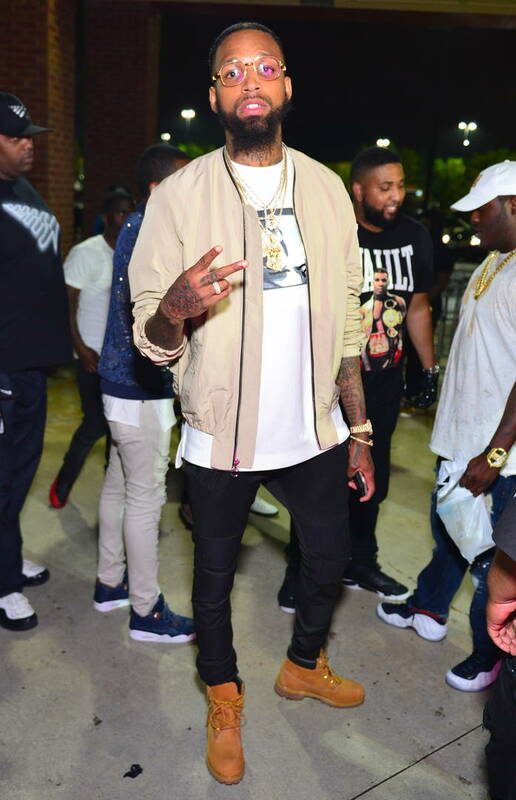 Many of his peers have been extending their condolences to Dixon's family and close friends, with Meek Mill, Dave East and Fabolous all speaking out about the young man's passing. Many people were waiting to see what Erica Mena would say, considering how close the two were a short time ago. The reality star has just updated her Instagram story with a message to her ex-boyfriend, telling him to take care of his family from heaven. "We all deal with so much," wrote the Love & Hip-Hop star. "You dealt with a lot. I'm so sorry this happened, you didn't deserve this. Rest in forever peace. Watch over your blood sisters, brothers, nieces, nephews and your mommy. I know they are so broken right now." ENTERTAINMENT Erica Mena Reacts To Ex-Boyfriend Cliff Dixon's Death: "You Didn't Deserve This"